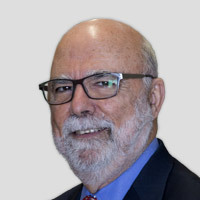 Rosental Alves began his academic career in the United States in March 1996, after 27 years as a professional journalist, including seven years as a journalism professor in Brazil. He moved to Austin from Rio de Janeiro, where he was the managing editor and member of the board of directors of Jornal do Brasil, one of the most important Brazilian newspapers. Alves worked for that paper for 23 years. For more than a decade, Alves was a foreign correspondent based in Spain, Argentina, Mexico and the United States, working for Jornal do Brasil. In 1991, he created the first online, real-time finance news service, the first of its kind in Brazil. And in 1994, Alves managed the launching of Jornal do Brasil's online edition, making it the first Brazilian newspaper available on the Internet. Alves is a member of boards or advisory councils of several international organizations, such as International Consortium of Investigative Journalists, International News Safety Institute, United Nation?University?Media Peace and Security Institute, Latin American Center for Journalism, Foundation New Iberian American Journalism, and the Maria Moors Cabot Awards at Columbia University. A working journalist since he was 16, Alves received a B.A. in journalism from the Rio de Janeiro Federal University. He was the first Brazilian awarded a Nieman Fellowship to spend an academic year (1987-88) at Harvard University. He taught journalism at Fluminense Federal University and at Gama Filho University, in Rio de Janeiro, beginning as a lecturer when he was 21.